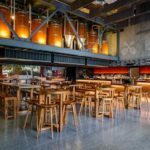 Visit some of Brisbane’s newest, inspiring and award winning clubs, pubs and bars as part of the AHG Bus Tours. All tours include private venue tours, lunch and refreshments along the way. It’s a great day out, with an invaluable opportunity to meet new people in the industry and be inspired by the best venues in the region. 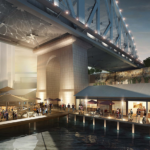 DEPARTURE DETAIL: All Tours will depart from the Brisbane Convention & Exhibition (BCEC) at the indicated time, and return to The Charming Squire (within the BCEC precinct) at approximately 4:30pm. Tour 1: BRISBANE NORTH SOLD OUT!! 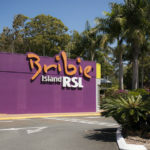 Bribie Island RSL – The Bribie RSL has proudly been at the heart of the local community since its establishment in 1977, and has recently undertaken an impressive renovation. 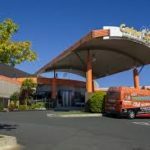 Sandstone Point Hotel – Located at Sandstone Point overlooking the pristine waters of the Pumicestone Passage & Moreton Bay, you will find this award winning hotel & picturesque icon for tourists, and locals to soak up and enjoy. The Oyster Shed – Originally built in 1875 by James Clark (aka The Oyster King), and now restored, the jetty and oyster shed are back in operation and the Oyster Shed Fish and Chippery takes on the same legendary standards in producing fresh, local seafood – just as the Oyster King intended. 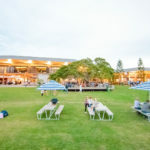 Sandstone Point Holiday Resort – Located at Sandstone Point overlooking the pristine waters of the Pumicestone, this brand new BIG4 holiday resort is an impressive, state of art resort. You won’t want to leave! The Charming Squire – Finish the day with a cleansing ale at the sort of bar James Squire himself would have loved to drink in. Tour 2: BRISBANE CENTRAL SOLD OUT!! 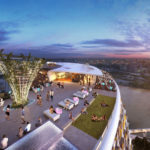 Queens Wharf – A new world-class integrated resort development is being constructed that will put Brisbane on the map as a tourism, leisure and entertainment destination. You’ll be treated to a hard-hat, behind the scenes tour of this development which is due to open in 2022. 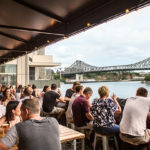 Riverland – Encompassing a unique industrial design, the heart of Riverland comprises two fitted out 40ft shipping containers complementing the exposed beam, open-air beer garden shrouded in vines and greenery which pays homage to the working history of the Brisbane River and foreshore. Tour 3: BRISBANE SOUTH SOLD OUT!! 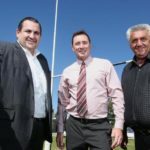 Souths Sports Club – Brisbane Racing Club’s recently acquired Souths Sports Club at Acacia Ridge was officially re-opened on in late 2018 following extensive renovations worth over $2 million. 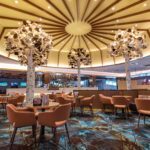 Carina Leagues Club – One of Queensland’s most award winning clubs, the club offers a variety of modern facilities all of which are pushing the envelope in terms of innovation and design. Club Southside – The club has recently had a impressive renovation and rebrand to make it one of the Southside’s top clubs!